Choose from these available sizes! 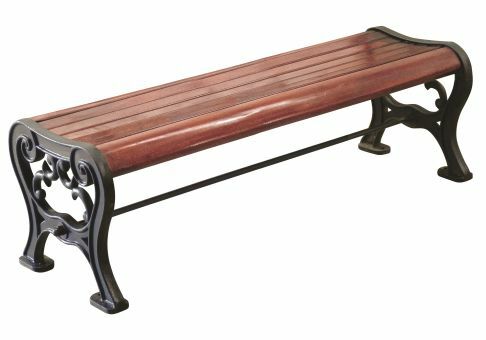 The Queen Anne is an elegant backless bench with ornate cast iron legs and contoured planking. Wooden slats made from genuine Mahogany. Wood is finished with 3 coats of polyurethane. Length: 72" - Width: 17.5" - Height: 20"